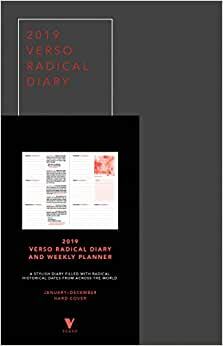 The 2019 Verso Radical Diary and Weekly Planner is a beautifully designed week-to-view planner where you can keep track of your coming year. Alongside illustrations, it features significant dates in radical history, drawn from events such as the English Civil War and Castro's victory march in Havana, and touches on the lives of characters such as Rosa Luxemburg and Gil Scott Heron, and includes movements such as #blacklivesmatter and the Suffragettes. The best-selling radical diary is back!